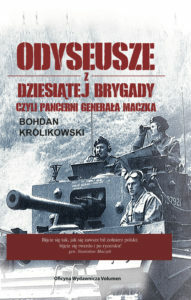 On the 7th of October 2017, on the occasion of the Ceremony of the 1st Armoured Division, during a meeting the president of the Capital Association of the 1st Armoured Division, mayor Janusz Gołuchowski raised the subject of mistaken signs on the Square of the 1st Armoured Division by Arkady Kubickiego, on Warsaw Podzamcze. In the name of the Foundation and on the authority of the Capital Association of the 1st Armoured Division I kindly ask to urgently correct the mistaken name of the square and the content of the board placed on the obelisk on this square, dedicated to the 1st Armoured Division and its commander, general Stanisław Maczek. The mistake is based on placing after the name of the 1st Armoured Division abbreviation „WP”, which in the Polish language means „Polish Army” – name used in relations to army units formed by Polish authorities, subject to the Soviet Union. Functioning since 1988 names are confusing for unacquainted people from Poland and abroad, and create an understandable irritation of veteran communities. The case gains an additional, negative connotation in relation to upcoming anniversaries of the 100-year of independence, as well as 75th anniversary of liberating by the 1st Armoured Division more than 100 towns of France, Belgium and the Netherlands. Therefore, I would like to ask to make the decision immediately enforceable.